Połączenie Nie jesteś jeszcze zapisany? 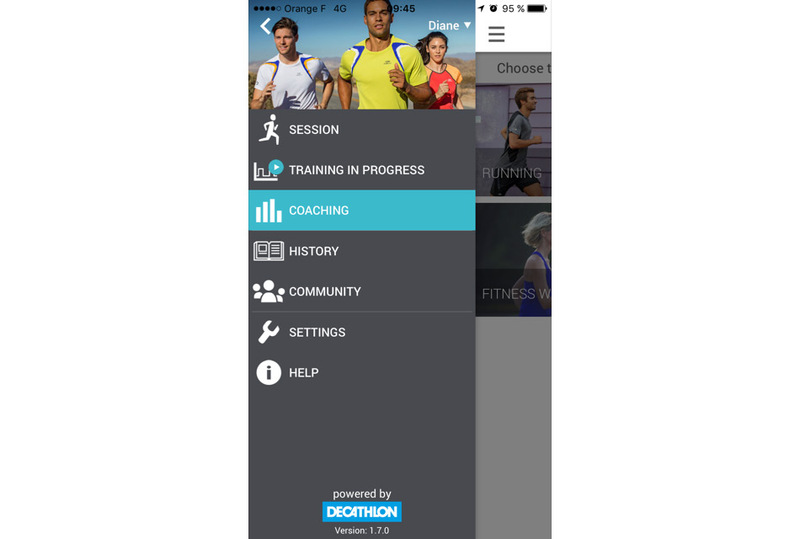 DECATHLON COACH is a mobile application, to track your sport session, live, either you are in a training programm or for a free session. 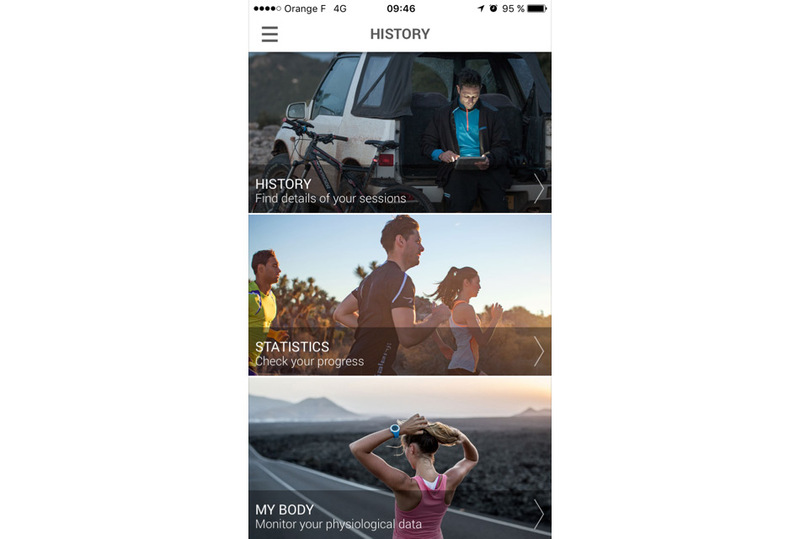 Finally, if you get an heart rate belt bluetooth smart, visualize your heartrate and your effort zone, to run at the right pace : YOUR pace ! 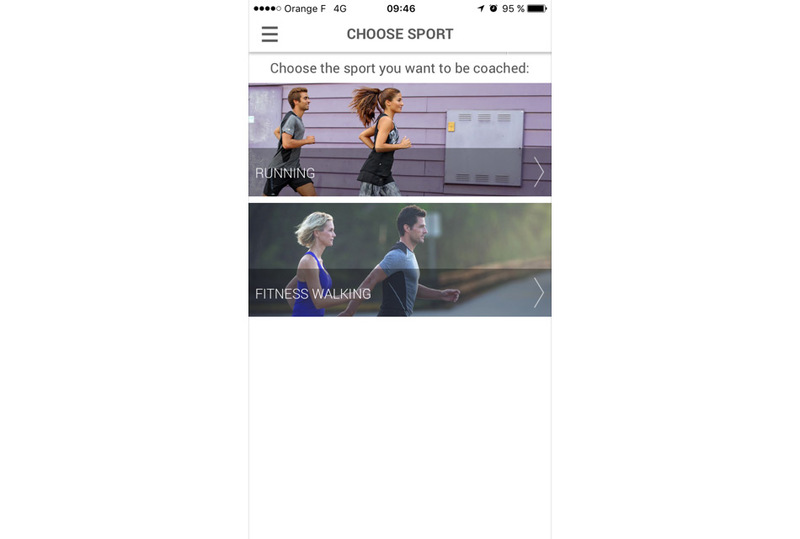 When you launch the app', you reach the connexion page. 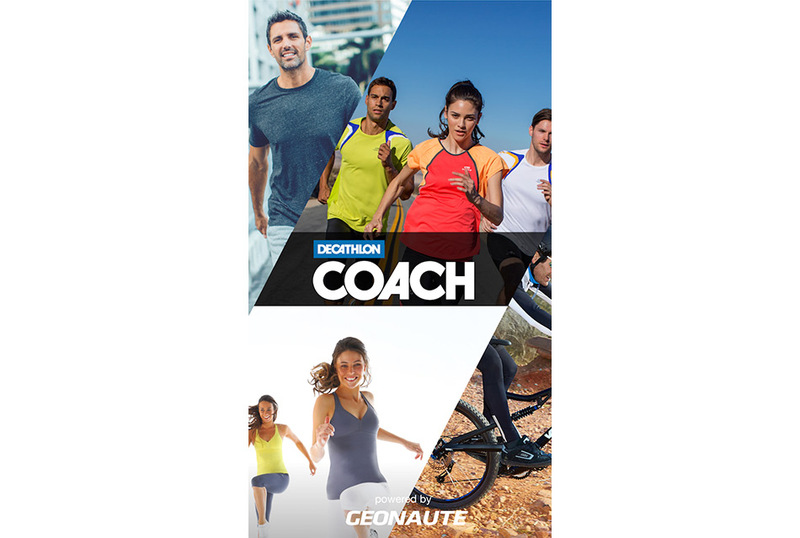 Your login is the sem as you account on www.decathloncoach.com. Top left of the screen, click on the menu. This screen, begin a "free" session, when you want, as you want ! 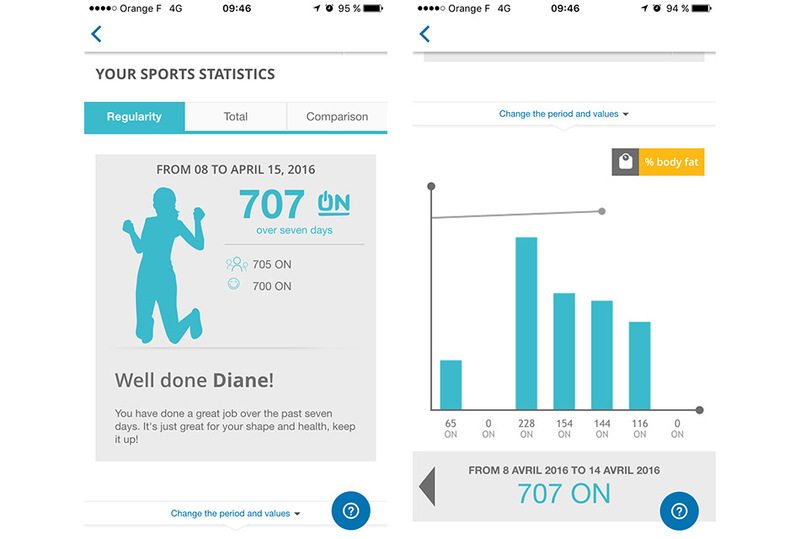 Top right, you can choose your sport, and by pressing on an indicator, you can select the indicators you want to see during your session. 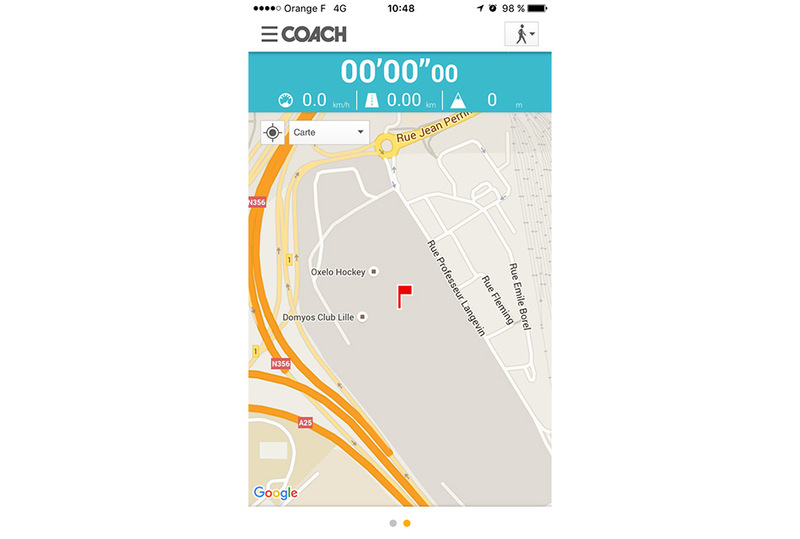 The second screen allows you to keep track of your GPS route. 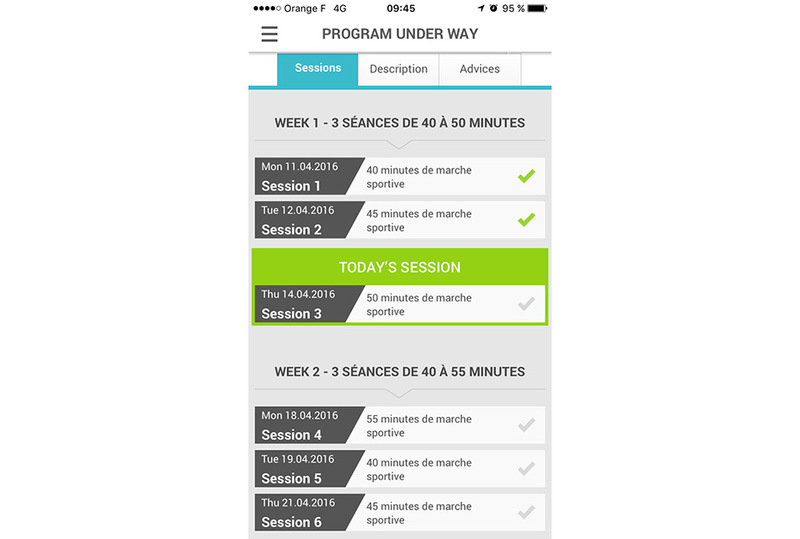 Visible only if you entered a programm, you can easily find your training and the sessions to come. 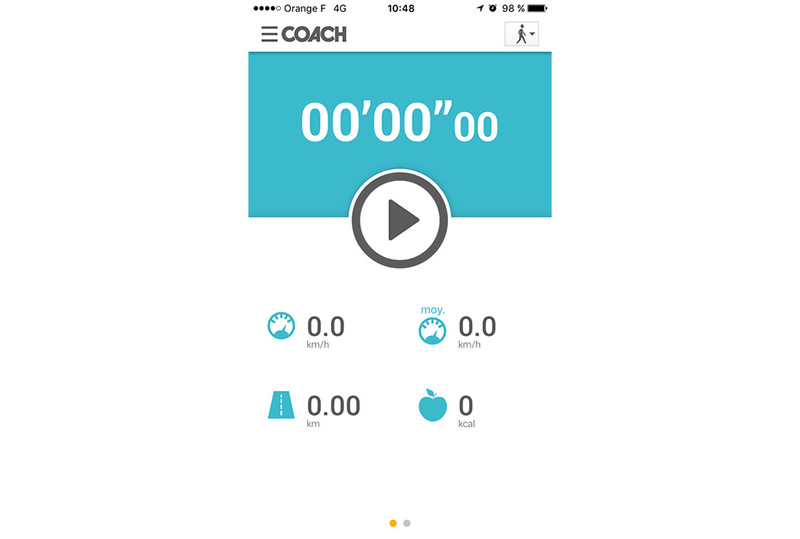 here you have access to all our training programms : runnind or power walking. 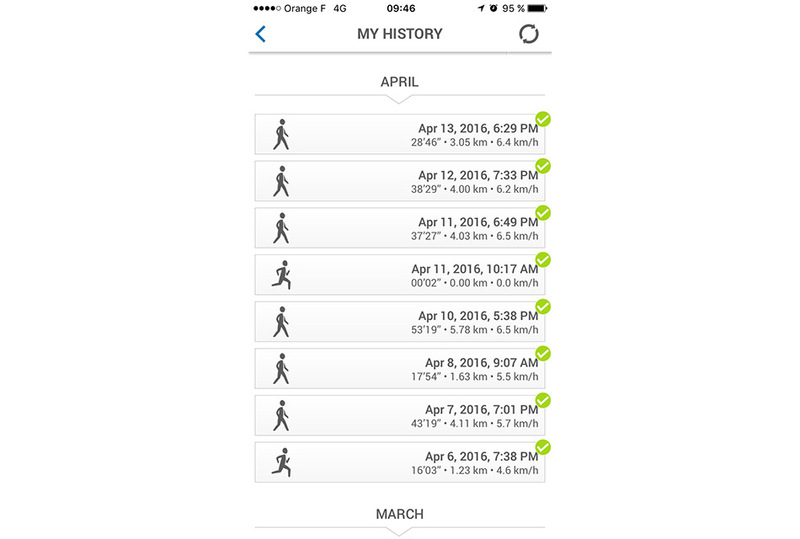 According to your goal : begin or resume running, lose weight, prepare a race or a trail, you choose what most fits you. Depending on the number of sessions per week, the number of weeks and your specific goal, specify your days and OFF YOU GO! You find here all of your sessions. 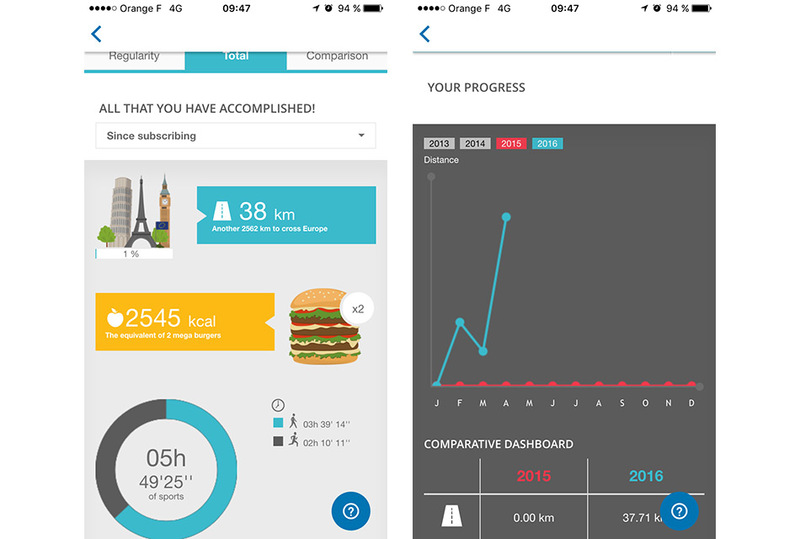 A global visualisation of your regularity. 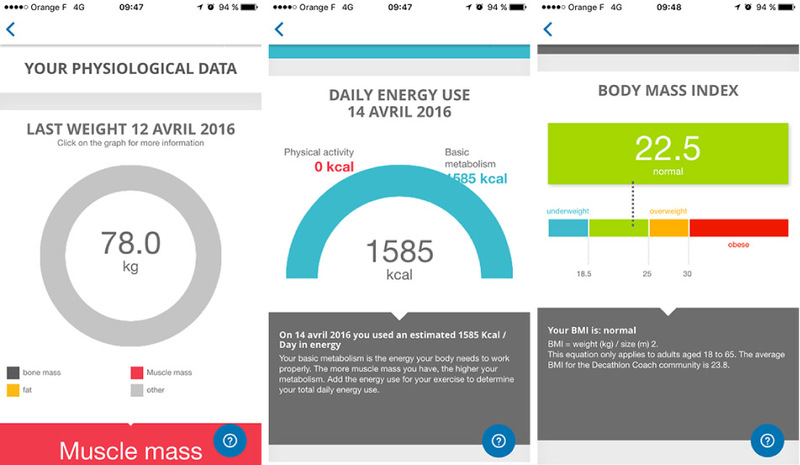 The total of a specific period and the possibility to compare 2 sessions. Here are your physiological datas you entered. 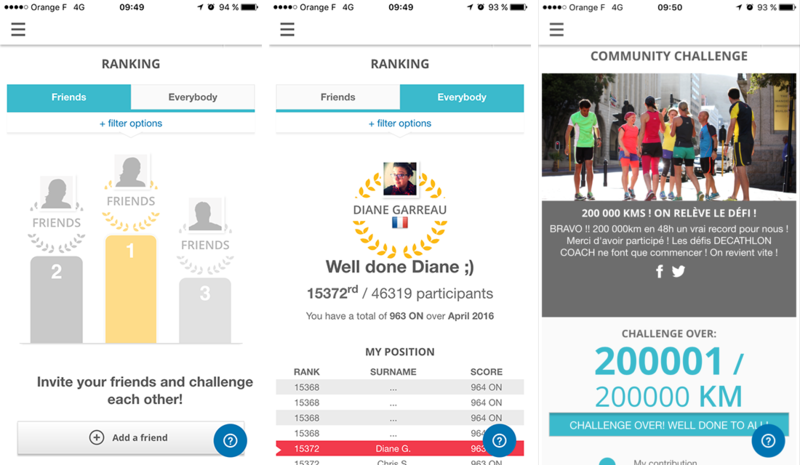 You can interact your friends registred and the global DECATHLON COACH community, and it's here that you find the challenges we offer ! Aplikacja DECATHLON COACH to aplikacja sportowa, która pozwoli Ci mierzyć parametry uprawianych sportów, śledzić postępy z treningu na trening oraz znaleźć plan treningowy dedykowany bieganiu i chodzeniu w zależności od Twojego celu: rozpocząć lub wrócić do biegania i chodzenia, stracić na wadze i pozostać w formie, przygotować się do startu w biegu. Poprzez aplikację sportową Decathlon Coach możesz podłączyć swój pas do pomiaru tętna i wyświetlić przesyłane z niego dane. Dzięki Decathlon Coach możesz również udostępnić swój trening i porównywać swoje wyniki ze znajomymi poprzez podium dostępne dla przyjaciół.